The stuff of myths greeted me as I turned the corner of the house this morning. 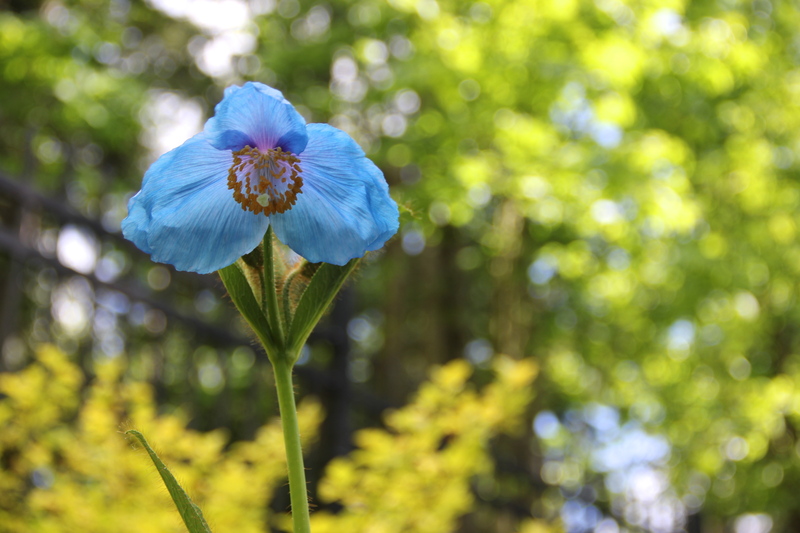 This spectacular flower is native to the high elevations of the Himalayan Mountains, and we know it as the elusive Himalayan Blue Poppy or Meconopsis betonicifolia. The previous owners of Coppertop told me these might return this year, but I didn’t know where. What a treat, since these poppies only do well in a few areas of the northern states. 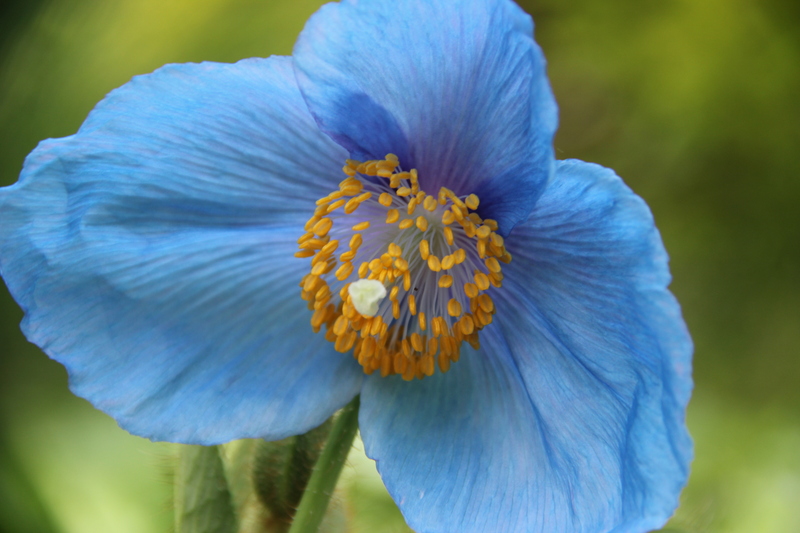 This magical color blue appears rarely in flowers, and gardeners truly take notice and seek it out. I’m sure these poppies have a well-deserved reputation for being difficult to grow. However, the truth is, I ignored these as they sprouted and think they might continue to do best if I simply neglect them! 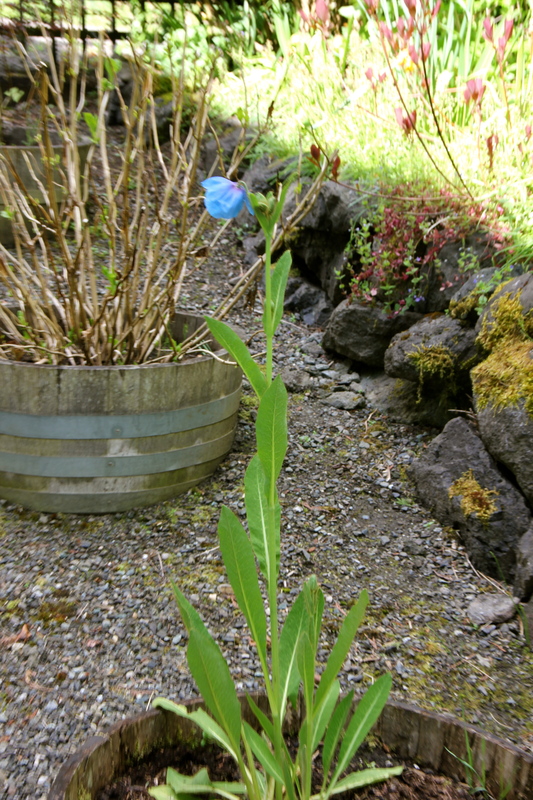 The best news: I’ve counted at least four more buds yet to open. Wondrous. Ethereal. 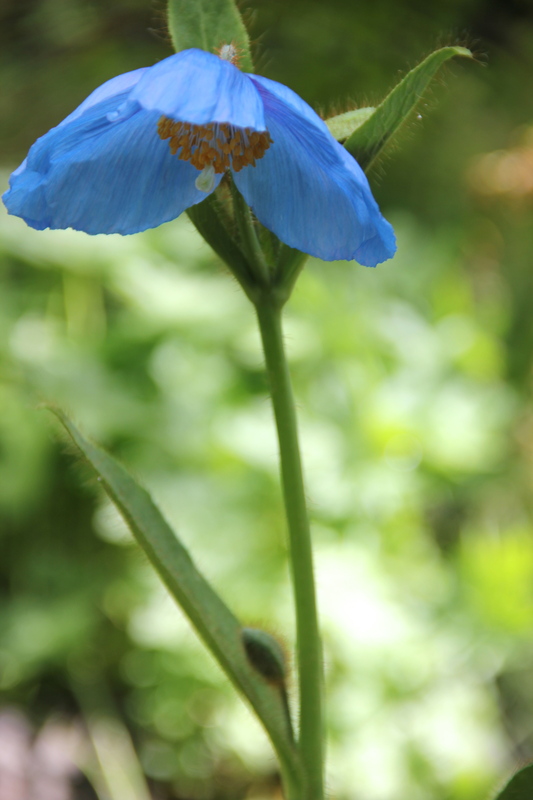 This entry was tagged Coppertop, gardening, Himalayan blue poppy, Meconopsis betonicifolia, Olympic Peninsula. Bookmark the permalink.